We would like to say a big thank you to all the runners, marshals, sponsors and spectators for making the 2018 race such a great success. Well done to last years winners AFEWERK ROSSOM and SALLY JUDD. 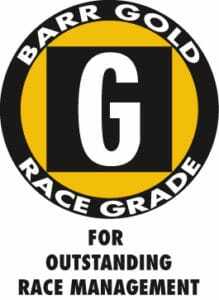 Our next race day is on Monday 27th May 2019 – Registration now open! 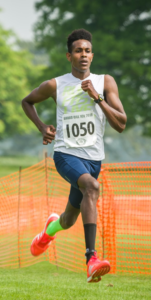 Now in its 34th year, the HBO 10K has grown to be one of the largest and most popular road races in the South East, attracting 1500 runners nationwide. Held in the medieval village of Hatfield Broad Oak near Bishop’s Stortford and organised by the local school PTA the race is held on country roads which are fully closed to traffic which gives the race a very special atmosphere as residents and spectators gather to cheer you on as you loop through the village in a figure of eight eventually finishing on the beautiful village green in the heart of the village. Technical T-Shirts AND Medals at the finish line this year! 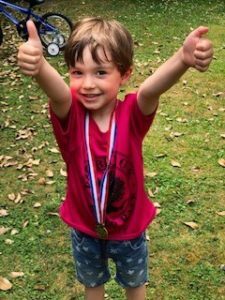 Our 1 mile family fun run is held after the main 10k race event at approximately 12:40 and attracts between 400-500 children, parents and dogs too! 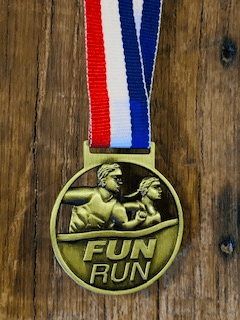 There is a £1 entry fee for the Fun Run and medals are awarded to all children that take part. For more information on rules and regulations please click on our fun run page at the top.